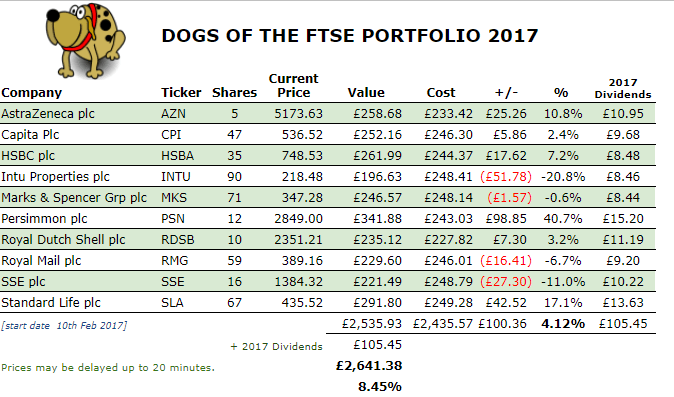 Always interesting to see progress on the dogs – and a reasonable performance I guess, but of course the FTSE would also kick out dividends, so not sure how much variance there is. I will continue to watch with interest! On Brewdog – it’s an interesting one. They have some corking beers, and a pub not that far from me here in London. Not that cheap, so actually I am wondering about buying in for the discount now that you have mentioned it as it may save it. They still hold the record for the most expensive beer I have ever tried – one of the cans in the pub… 14% proof… £19 for the can. Incredibly nice and smooth, but not cheap! That £19 beer must be one of their exclusive beers, not had the desire to sample any yet! At a recent works raffle, I won a bottle of their Abstrakt beer which retails at £10 a bottle (330ml)! They’re planning on building a ‘BrewPub’ in London, situated in the Minster Building at the corner of Great Tower Street and Mark Lane – perhaps you could check it out when it’s open! Keep faith with the SSE – I’ve had them for years and the dividends really start to rack up! Great blog by the way. I’ll be keeping SSE as long as it abides by the ‘Dogs of the FTSE’ criteria, which is to remain in the top 10 FTSE 100 highest yield shares. This is looking likely at the moment. Thanks for reading and stopping by. I stopped buying single shares a long time ago, but the Brewdog one is interesting. The owners sold out recently for a stack of cash, so I wonder if the drive behind the business will have gone? £100 million in the bank might make it harder to head into the office with the same fervour. I recently sank a hundred quid into our village’s attempt to save my neighbourhood pub being sold off by Enterprise Inns, so I might end up being a shareholder in that. Predicted returns, zero, but it’s one share purchase I won’t be worrying about if I can still nip in for the odd pint or two! 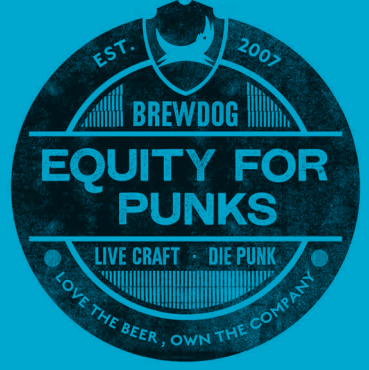 Yes, the Brewdog shares are different, won’t get any dividends from them, may not make any money from them either. The £100m investment doesn’t appear to have diminished the company’s ambitions, the prospectus highlights big plans for expansion. Good luck with the local pub and hope you can continue to enjoy that pint or two! I’m glad this post was about a share purchase – my first thoughts on reading the title jumped to home brew disaster! Why not have a bit of fun with shares, especially if it involves discounted beer? I recommend Brewdog’s brilliantly named Nanny State low alcohol beer. By mixing it 50:50 with real beer I can drink a pint containing the alcohol of only a half pint. I accept that not everyone will share this ambition. I’ve not tried mixing Nanny State with real beer as I think it actually tastes quite good on its own. It’s a beer I go to on Sundays if I fancy a drink but don’t want to start Monday on the wrong foot! I saw that a few years ago and very nearly invested but didn’t as a friend was really quite bearish about the company. Wish I’d followed my gut instinct. I haven’t tried nanny state yet, must give that a go! Same here TFS, I wish I had jumped on board years ago but it was obviously not to be. The minimum investment is just 2 shares for £47.50, which will get you 5% discount off BrewDog bars (via a BrewDog ID card) and 10% off online orders, amongst some other stuff (including a free pint on your birthday, I believe!). Yeah, for a non-alcoholic beer, Nanny State’s not bad! A free beer every birthday sounds pretty good. Shame the nearest one to home is in Brighton although plenty around London for a quick one after work if I look hard enough I’m sure! Hi there. I bought 4 shares in Brewdog’s 2015 round for £200. I’d been a fan for years before that and am actually from Ellon, where they’re based. I must say, given the relentless marketing and global expansion, their small independent craft brewery claims are really starting to grate. The 100 million sell out doesn’t sit well either. At the 2016 AGM in Aberdeen they started their business presentation with a lengthy wind up about how they’d sold out to Diageo or one of those companies. They went on to say they’d never ever do that and would always be independent. Still, excellent beer. Can’t argue with that. And still undoubtedly a good investment. I’m not really investing for any real return but if there is a return, then it’s a bonus. I’m looking forward to attending an AGM at some point, not been to Aberdeen before!